In the spring of 1708, invading Jacobites plot to land the exiled James Stewart on the Scottish coast to reclaim his crown. When young Sophia Paterson travels to Slains Castle by the sea, she finds herself in the midst of the dangerous intrigue. Now, American writer Carrie McClelland hopes to base her next bestselling novel on that story of her ancestors in the dim, dark past . Settling herself in the shadow of Slains Castle, she starts to write. But as Carrie's mind slips back in time, she learns of the ultimate betrayal that happened all those years ago, making her the only living person who knows the truth--and that knowledge comes very close to destroying her. 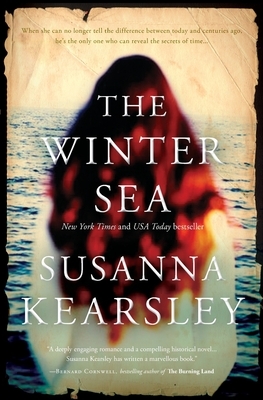 Susanna Kearsley's writing has been compared to Mary Stewart, Daphne Du Maurier, and Diana Gabaldon. Her books have been translated into several languages, selected for the Mystery Guild, condensed for Reader's Digest, and optioned for film. She lives in Canada near the shores of Lake Ontario.